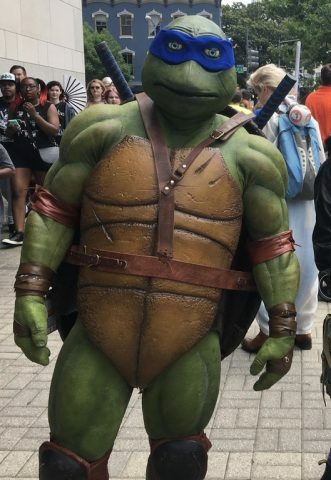 A Teenage Mutant Ninja Turtles Costume that Brings Leonardo to Life « Adafruit Industries – Makers, hackers, artists, designers and engineers! 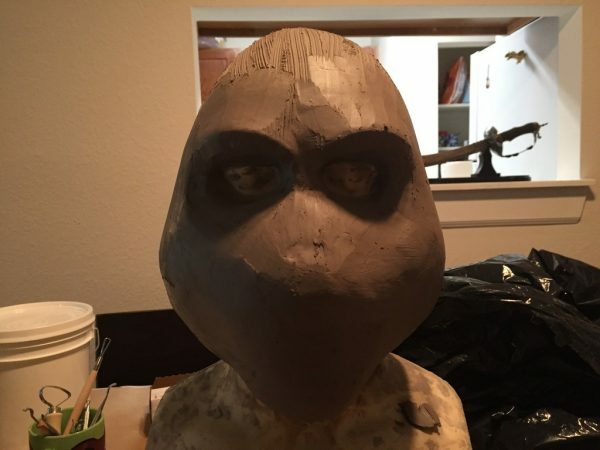 I originally considered doing a full body sculpt and casting in foam rubber, but quickly decided that the cost (and my apartment) wouldn’t make that feasible. So, I decided to take a cue from the costumers over at predatorium.com and make a muscle suit covered in latex. 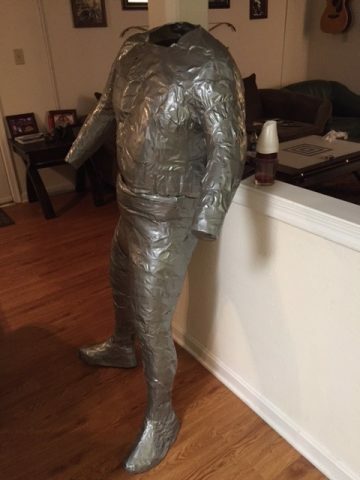 Using a duct tape dummy, I created a mannequin out of polyfoam. Muscles are being carved out of upholstry foam, covered in spandex, and then stitched to a spandex body suit. Once the muscle suit is completed, that will be covered in another layer of spandex to act as “skin”. This skin layer will be covered in thin latex where I’ll add textures and paint. The boundary between this muscle suit and latex gloves will be covered by leather wraps and accessories, so I’m not concerned about the differences. You can see the beginnings of the costume below. I find it encouraging to see where a costume starts and where it ends. This one obviously went through quite the process. Learn all about the making of process by following along with the build thread at The RPF.